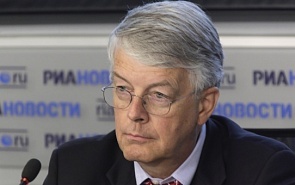 Past director of Harvard’s Davis Center for Russian and Eurasian Studies; Co-chair of Working Group on the Future of Russian-American Relations; Has participated in the Valdai Discussion Club meetings since 2004. Research interests: national and international politics of Russia and Eurasia. Books and articles include Transitional Citizens: Voters and What Influences Them in the New Russia (2000); Popular Choice and Managed Democracy (with Michael McFaul, 2003); The State after Communism (with Stephen Holmes, 2006); Yeltsin: A Life (2008); Leadership and the Politics of Modernization in Russia: The Challenges of Transformation (ed. by Piotr Dutkiewicz and Dmitri Trenin, 2011); Russia: What Everyone Needs to Know (2016); Everyone Loses: The Ukraine Crisis and the Ruinous Contest for Post-Soviet Eurasia (with Samuel Charap, 2017). The Helsinki Summit – Can the Election-Interference Shadow Be Lifted? The pair called for “constructive dialogue” without revealing any concrete results from the talks, other than plans for aides to follow up. They did hint at progress toward an understanding over Syria, presumably involving mutual acceptance of continuance of the Assad regime and Russian restraints on Iran, which Trump indicated would be packaged for domestic consumption as protection of Israel. There was only glancing reference to that summit staple, nuclear arms control, and clear evidence of continued disagreement over Iran and Ukraine (though not over North Korea). Agreement on the Helsinki meeting is a positive development if for no other reason that it is deeply dangerous for our two nations, given their military capabilities, to refuse to talk to one another at the highest level. We have seen a series of past “resets” in the relationship that invariably yield to mutual frustration. Expectations should be set low for this one, in light of that record. Putin has succeeded Yeltsin as a modern leader who renewed the old partocratic elites, becoming a fresh face in the Russian politics. Today he is becoming a representative of the older generation, which is not a tragedy in itself, as statecraft largely comes from experience. Given the fact that both his appointment as the head of the cabinet and as the leader of the ruling party come straight from Putin, we can come to a conclusion that Putin and Medvedev still have a cooperative relationship, and such a tandem will be maintained at least for the first half of Putin's term. Once the votes are counted, we will see whether Putin moderates his anti-Western sloganeering. But it will take quite a while longer before we learn if the emerging agenda of a partly-free Russian politics comes to encompass issues of war, peace, and a forward-looking model of international problem solving for the twenty-first century. It is clear that there will not be any real competition, but it is very interesting which of the two leaders, Medvedev or Putin, will be the next president. The decision on who will run for president will be made in the next few months. Nobody knows what these elections will bring.